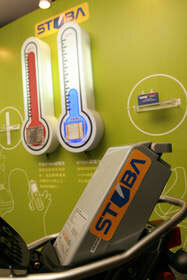 Taiwan's Industrial Technology Research Institute (ITRI), which has been emphasizing the R+D of electric vehicles and green energy, announced the establishment of the High Safety Lithium Battery STOBA Consortium and also unveiled the STOBA logo to establish a new standard. Virage Logic Corporation announces a full suite of 28-nanometer memory compilers and logic libraries on TSMC's High-K Metal Gate (28nm HP) process. The Huazhong University of Science and Technology and Vistec Lithography, a leading supplier of electron-beam lithography systems, will collaborate in research and education of nanolithography. Nano-Tex, a leading fabric innovation company providing nanotechnology-based textile enhancements, announced today three new products - All Conditions, Speed Dry and Repels Water - to their current industry leading portfolio of repellency solutions. Malvern Instruments Limited (Malvern, UK) has acquired certain assets of Swedish rheology company Reologica Instruments AB (Lund, Sweden), which went into administration on 23rd March 2010. Hague Corporation today announced it has changed its name to 'Quantum Materials Corporation' to better reflect its nanotechnology business. Applied Materials, Inc., a leading supplier of equipment to the semiconductor, flat panel display and solar photovoltaic industries, today opened its new Singapore Operations Center, Applied's first facility in Asia for manufacturing its advanced semiconductor equipment. AIXTRON AG announced today an order for two additional MOCVD tools from Changelight Co., Ltd., a company based in Xiamen's Torch Industry Park of Fujian Province, China. Mask Etcher MLS, where MLS stands for Manual Load System, will allow photomask manufacturers to smoothly transition from wet etch capabilities to a more advanced dry etch performance. At JEC COMPOSITES 2010 in Paris, Arkema presents its latest innovations for composite materials: a solid compound containing 25% carbon nanotubes perfectly soluble in liquid epoxy, and a solid compound containing 20% CNTs adapted to water-soluble liquid solutions. 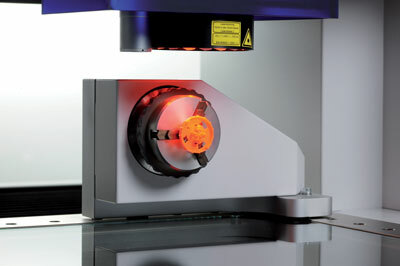 The O-INSPECT multi-sensor measuring machine from Carl Zeiss allows the very easy, very accurate and thus very efficient inspection of small and complex parts. It can be used in the electronics and plastics industries, for medical and automotive technology, and precision engineering. Synopsys, Inc., a world leader in software and IP for semiconductor design, verification and manufacturing, today announced the Best Paper Awards for the twentieth annual Synopsys Users' Group (SNUG) San Jose conference, held in Santa Clara, Calif. on March 29-31. Shrink Nanotechnologies, Inc., an innovative nanotechnology company developing products and licensing opportunities in the solar energy production, medical diagnostics and sensors and biotechnology research and development tools businesses, announced today that the Company was featured in the online edition of Scientific American, the leading consumer science magazine, in an article dated March 24, 2010 titled, 'Thinking Outside of the Toy Box: 4 Children's Gizmos That Inspired Scientific Breakthroughs'. Celator Pharmaceuticals today announced that the United States Patent and Trademark Office has issued a Notice of Allowance for a patent covering the company's CombiPlex technology platform, the basis for the company's product pipeline which includes two clinical-stage products for acute myeloid leukemia and colorectal cancer. Cadence Design Systems, Inc., a leader in global electronic design innovation, today announced that it increases tool support in TSMC's 65-nanometer Integrated Signoff Flow by introducing RTL Compiler, EDI System, QRC Extraction and Encounter Timing System for Signal Integrity into it. Rosetta Genomics, Ltd., a leading developer and provider of microRNA-based molecular diagnostic tests, announced today it will present multiple posters at the upcoming American Association of Cancer Research's 101st Annual Meeting to be held at the Walter E. Washington Convention Center in Washington, D.C. from April 17-21, 2010.